There are still 30 states where it’s legal to discriminate against someone because they identify as LGBT. Such inequities affect our quality of life, but have you ever considered how LGBT discrimination affects your financial health? Leslie Tayne is the founder and lead attorney at Tayne Law Group, a debt solutions law firm based in New York City. Leslie has 20 years of experience in the practice of consumer and business financial debt-related services, and her work has appeared in Inc. Magazine, Forbes and the Huffington Post, among many other media outlets. Tayne Law Group has been voted Bethpage Federal Credit Union’s best debt consolidation service four years in a row, and Leslie has twice been honored as one of Long Island Business News Top 50 Most Influential Women in Business. She is also the author of Life & Debt: A Fresh Approach to Achieving Financial Wellness. Leslie joins us to offer her insight on LGBT discrimination and share steps to take if you’re being discriminated against. She discusses the impact of discrimination on our finances, explaining why a healthy savings account is crucial for the queer community. Listen in for Leslie’s top tips on managing debt and learn how short-term financial discipline can lead to long-term rewards. Seventy-five percent of LGBT people live in either the urban core or suburban areas. The primary reason for this is safety in number. 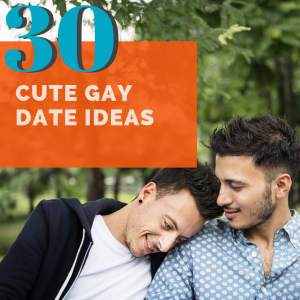 As a matter of fact, our number one post on DebtFreeGuys.com is 5 Affordable Gay Cities. That’s because, as many of us can relate to, living in larger and safer urban areas or traditionally more expensive. Only recently has LGBT discrimination in the workplace started to subside due to companies taking a stand for all their employees and providing a safe and harassment-free workplace. Although this is primarily due to policies being put in place, we know that not all companies are able to or actually police these policies. This means that many LGBT individuals stay in the closet at work. A full 40% of queer individuals are still in the closet at work for fear of discrimination. 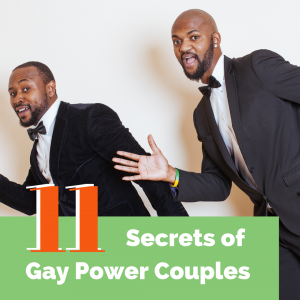 As Jay Allen, former Senior Vice President at Charles Schwab once pointed out on the Queer Money™ podcast, when we hide who we are at work, we spend energy that could be used to give our all, 100% to our work. This means that for many in the LGBT community, we stagnate in our jobs, don’t seek promotions and don’t socialize with our peers, where opportunities may become apparent because we don’t want to be “outed” at work. 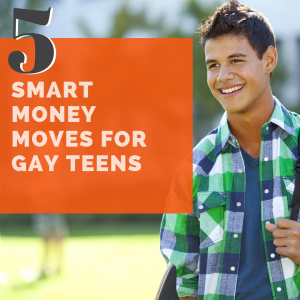 In a recent study conducted by MassMutual, data was uncovered that shows that the average LGBT household holds approximately $40,000 more in student loan debt than the general population. This is often due to the need to prove our worth to ourselves, our families and our employers to feel like we are “equal.” This is backed by data from a study conducted in England as well. The above reasons are why we invited Leslie to discuss discrimination and debt on Queer Money™. She provided, not only some great data but discussed ways we can prepare ourselves to face LGBT discrimination head-on, especially at work.